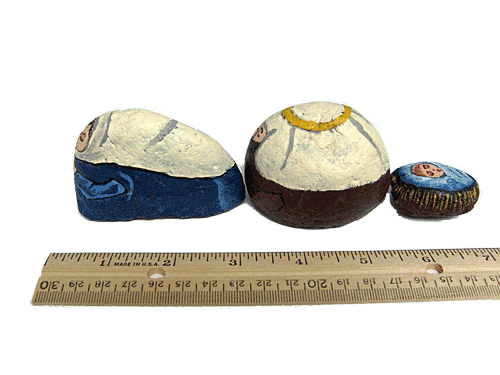 These small rocks are more pitted than the usual, smooth river rocks making it more apparent they are painted rocks. 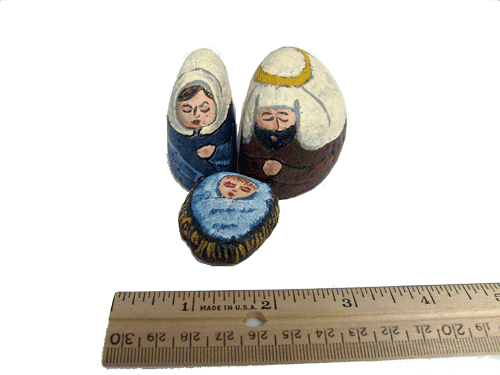 Both the Mary & Joseph nativity scene figures have a flat side which allows them to nestle closely together admiring Baby Jesus. 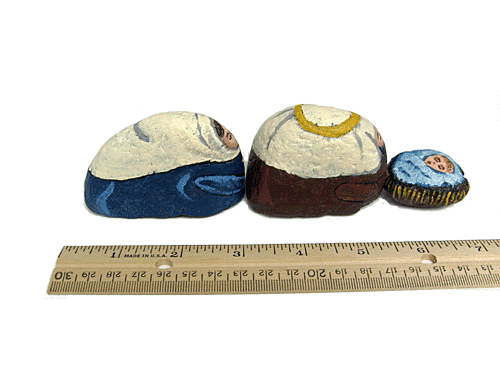 Mary's robes are painted navy blue; her head scarf is cream. 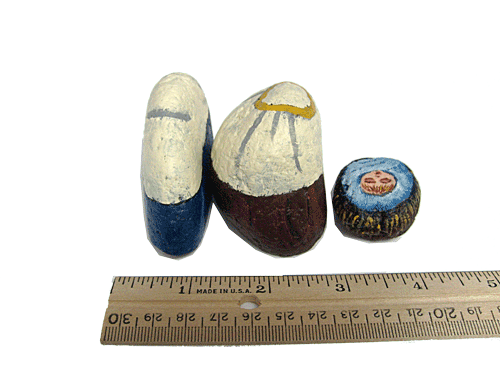 Joseph's robe is painted burnt umber, his vest is left unpainted so the natural rock shows through; his headdress is cream and the head band is yellow. 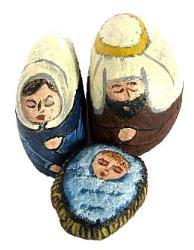 Jesus' swaddling clothes are royal blue & white.